One of the biggest complaints regarding grab handles is that they either slide or collapse while holding the handle. Corbeau Grab Handles are different. Continuing with our reputation of providing the some of the highest quality seats and harness belts in the world, we didn’t hold back with our Grab Handles. Designed with ballistic nylon to ensure long lasting durability, along with a molded rubber handle which will prevent folding. 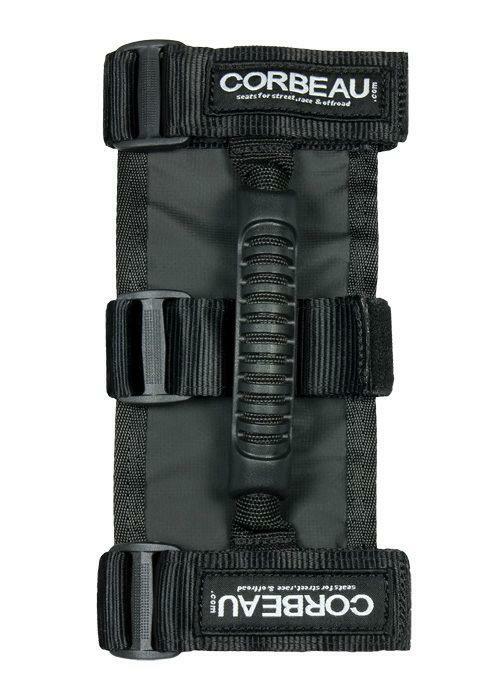 Grab Handles are available for 1”, 2”, and 3” bars. The 1” grab handle is ideal for the Yamaha® Rhinos or other UTV vehicles. The 2” and 3” grab handles are very popular in truck and off road applications such as Jeeps and Broncos. 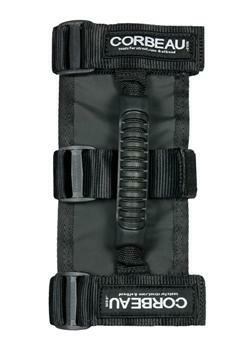 The 3” grab handle comes equipped with a 3rd strap for extra support. 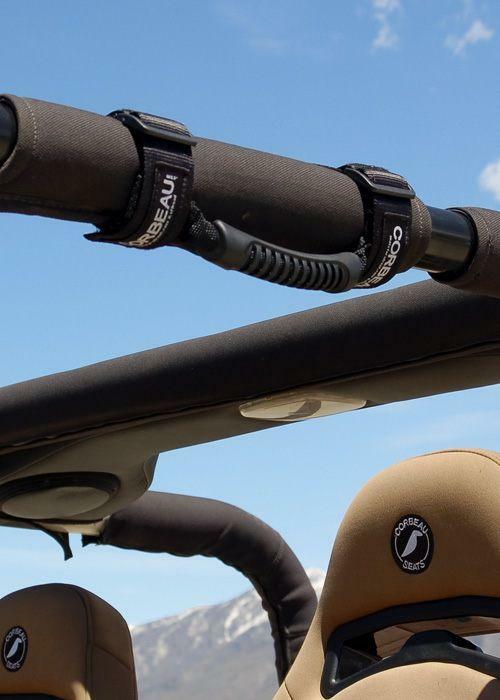 Corbeau Grab Handles are a slick addition to your Corbeau Seats and Harness Belts.